Welcome to H3X & Z3, a nonsense free and mineplex super paintball based clan. The clan was founded by Hexxel, in early February of 2016 (2/10/16) with a strong passion. We were founded out of the necessity for quality, and lack of it throughout the paintball community. What started out as an idea, shortly came into the transformation of the longest lasting, and largest paintball clan where we love to have fun, and interact with our members as well as recognizing that the members of this clan are what makes us so great. There are multiple clan-run servers in the super paintball community, but there are very few ones that last the distance and stand out from the crowd, why do we stand out you may ask? We stand out because we follow, respect, and stand by the many qualities that we have worked so hard to obtain. This clan’s foundation rests on honor, loyalty, and integrity. There is a heavy emphasis on maturity, fairplay, helping others and having a fun and competitive gaming experience that everyone can enjoy. All of our members practice these same qualities amongst each other, whether they are the newest recruits, part timers, or the longest standing members. We’re in essence, a family! Because of this, H3X & Z3 has attracted the most dedicated and experienced members throughout the paintball community. In the world of H3X & Z3, you are valued and counted on to help make things right. To date, H3X & Z3 has been running well under the guidance of it’s community managers, leaders and admins. These are the individuals that have volunteered for these important leadership roles and strive to provide a place where paintballers of all calibers from all over the world can meet for family friendly and respectful gameplay. Because of this, it’s important you understand the clans structure. 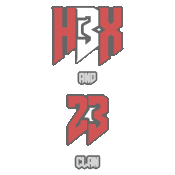 The H3X and Z3 clan consists of multiple branches within the super paintball community, three branches within the Fortnite Community, and one branches within the Cake Wars community. The three main branches within super paintball are H3X, Z3 and A1, within the Fortnite community are H3X, the Competitive Team and Prestige, and whithin the Cake Wars community is just H3X for now. Z3 is considered one of the smallest clans. They represent the elite class and are highly skilled. They are the professionals of the H3X and Z3 clan, and therefore it is very hard to get into this branch of the clan. The Z3 clan are usually the spearhead when it comes to scrimmages with other clans. H3X is the largest clan in the super paintball community. You don't have to be a pro to join, because, H3X is for everyone that meets the simple requirements and is interested in a friendly paintball clan. It consists of 7 tiers, Tier 6 up to Tier Elite. The demand for skill varies depending on what tier you are in, so you can still display your skill while being in H3X. If you leave the clan and rejoin, you get directly placed in Tier 5 and can then work your way back up again. A1 is the sniper branch of the clan. It is for the people within the H3X and Z3 paintball clan who enjoy using the sniper kit, and are very skilled with it. The demand for continuous skill with the sniper kit is very high in A1, and therefore, in contrast to H3X, you need to be evaluated to join. If you go inactive you will have to be re-evaluated to join back. This branch of H3X includes the best of H3X. The most skilled paintball players of H3X reside in this branch. They sometimes will do 5v5s, but generally Emnas and Arouz will do it that. Due to many people not making it to Z3, since the expectations are high, we've come up with new tags for people to represent their H3X elite skills. Those branches are called ‘arouzH3X’, for Tier 4 and above, and ‘emnasH3X’ for Tier 3 and up. ArouzH3X is our casual 5v5 team. Their matches are mainly for fun and not as competitive. Emnas, on the other hand, is more competitive and more skilled; medium to high skill rates. H3X is our main branche of our Fortnite community. This branche does not require skill to get into, but many of our top Fortnite players are in this branche. Also, to establish your skill, we have tiers 1 - 3, 3 being the least in skill and 1 being the highest. This branch posseses is our Competitive branch. This is the team that competes with other teams, is more competitive and plays more. Players in this branche will be expected to be active, skilled and competitive. This is a branche that hosts extra skilled players. The players in this branche must be extremely skilled and dedicated to the clan. We currently only have one branch and that is the standard H3X branch. This is our main branche and will host players of various skills. We are still working on our Cake Wars community so stay tuned. First, you will need to make an application to join Z3. If you are granted an evaluation, you will have to add the Z3 evaluators in game and set a date for a 1v1. You then have to win 3 games in a 1v1 to 5. You have 3 points (chances) to join Z3. Each time you fail an evaluation to get or stay in, or leave the clan, you lose one point. Once you haven’t got any points left, you no longer have a chance to join Z3. If you fail an evaluation, you have to wait at least one week to reapply, or the application will automatically be declined. If you go inactive you will have to be re-evaluated to join back. The evaluator will tell you more details about this once you contact them. In the case you pass, add ‘Z3’ to your name. To join A1 you need all the achievements and the same amount of wins as you would need for H3X, but your main kit has to be Sniper. If you meet these requirements, please contact the leader of A1, so they can evaluate you. If the leader decides that you’re ready to join, you can add ‘A1’ to your name. To join the paintball branch of H3X, you need 50 wins and 5/6 achievements in paintball. Once your application got accepted, you must add ‘H3X’ to your name so we can add you to the rosters and you’re officially a member. To get in H3X Elites you either need to be in Tier Elite or be evaluated to get into Tier Elite. You need to show immense skill in the evaluation to be considered for H3X Elites. We can also sometimes invite people that we see have great skill to join H3X Elite. If you are in Tier 4 or above, you can add the arouzH3X leaders on Mineplex and contact them about it. Then you can set a date for a 1v1 and if they think you’re ready, you will be able to join arouzH3X. For emnasH3X, the same applies, but you have to be in Tier 3 or higher. Once you passed, just add ‘arouzH3X’ or ‘emnasH3X’ to your name. To join the fortnite branch of H3X, you must submit an application. If you are accepted, you are in. To join this branch you need at least 20 wins in dous and solos. In addition you much be evaluated to determine your skill. To join this branch you must be of extreme skill. Only the best in our Fortnite community will be allowed in this branch. To join our H3X branch for Cake Wars, you need at least 30 wins. Also, you will need to be evaluated by one or two of our leaders. You can start by submitting an application. Owner -These are the individuals that are maintaining order within the clan in the background. Their job is to come up, and implement all future clan updates, maintain the website, and keep track of the staff. Admin - This is the rank that are to assist the owners with any tasks that need to be done. They are also in charge of overseeing the Managers/Newcomers and ensuring they are doing their assigned jobs to keep the clan up and running. Manager - These are the individuals that are the face outwards for the H3X & Z3 Clan. They will interact with all the members, maintain order in each of their own tier that they control, and socialize within the paintball community. If a member encountered an issue, the Manager is surely the person to handle and take care of it. Each month, the Managers report an update of their own tier and all Managers work closely together in order to ensure that the clan is running smoothly. Assistant - These are the ones that help out the Managers, Admins and Owners in a more dedicated way and with more authority. They are like Mods. They help do everyday tasks throughout the clan to help out. Newcomer - A Newcomer is the first staff position. A Newcomer's job is to learn. However, they still help out with tasks just with less authority and responsibility. When a Newcomer has learned a sufficient amount to do their job, they will be promoted to the next staff position. Trainer - These are a group of highly skilled individuals that dedicate their online time to training the members of H3X & Z3, so they can grow both skillwise, and as better players. Gaining experience is always good!